Jessie Mae Mancuso O'Dell, age 89, passed away peacefully in the evening of Friday, February 8, 2019. Jessie was born in New Orleans on June 10, 1929, to the late Philip Mancuso and the late Amelia Elizabeth Ghergich. She was preceded in death by her husband Charles Harold O'Dell; brother Dominick Mancuso; children Philip Harold O'Dell, Bessie Marie O'Dell Russo, and Charles Edward O'Dell; grandsons Edward Harold Bachemin and John David Russo; and great-great-granddaughter Ocean Vera Rea Russo. She is survived by daughter Bonnie Mae O'Dell Aguilar and husband Ruben and daughter Charlene Amelia O'Dell Bachemin and husband Paul. She was known as Jessie Mae and Maw Maw Jessie to her grandchildren Nicky, Cheryl, Scarlet, Dean, Pauli, CO, Heather, John, Bernadette, Jade, Tony, Emely, and great-grandchildren Amanda, Alexis, Nicholas, Zachary, Tony, Shelby, Rex, Dominick, Maggie, Cayce, Hannah, Collin, Karolina, John, William, Seth, Macy, Bella, Kayne, Carly, Nola, Kennedy, Prudence, Sebastian, Carleigh, and great-great-grandchildren Riley, Kaden, and Charlie. Jessie was a resident of St. Bernard Parish where she and Charlie raised their children. She owned and operated Bo Peep Daycare in Chalmette. Upon retirement, Jessie and Charlie resided in Hancock County. It was at their house on the Jordan River where you would expect a large family gathering with Jessie's biggest Magnalite pot filled with meatballs and red gravy. In addition, you could indulge in her homemade biscuits and salmon gravy. She later moved to St. Tammany Parish. 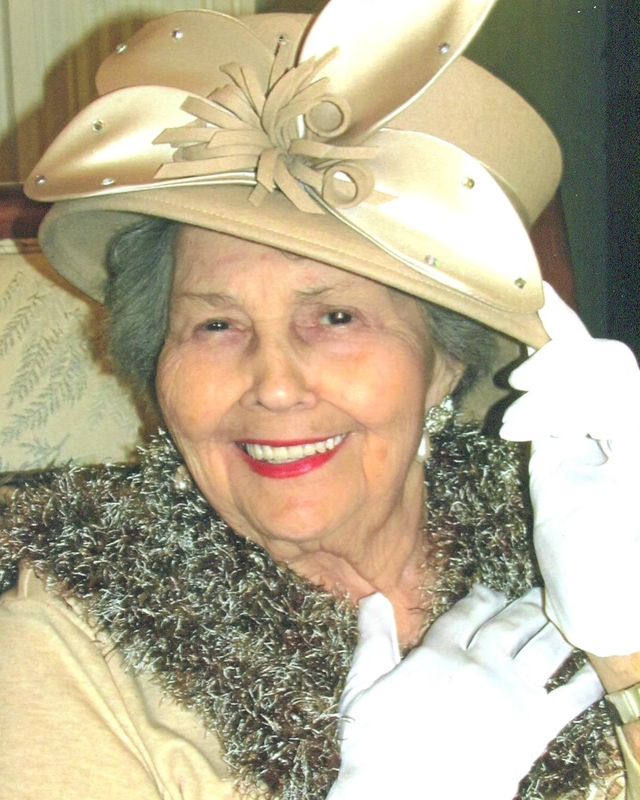 She was a resident of Summerfield Senior Living of Slidell where she valued and celebrated many wonderful friendships. Mrs. O’Dell was a parishioner of St. Peter and Paul Catholic Church of Pearl River for the past 25 years. The O'Dell family would like to thank everyone at Covenant Home Health and Sanctuary at Passages Hospice for providing such compassionate care for Jessie. Relatives and friends are invited to attend the Funeral Mass on Friday, February 15, 2019, at 11:00 am at Greenwood Funeral Home, 5200 Canal Boulevard, New Orleans, LA 70124, visitation from 10:00 am until service time. A Christian burial will follow in Greenwood Cemetery Mausoleum, New Orleans, LA. 2900 North Rocky Point Drive, Tampa, FL 33607 or at shrinershospitals.org.